For this story, click here. Supporters forwarded this piece, which we missed prior to the successful FEC hearing but lays out the option requested. One note of clarity - we are not a PAC but a 501c4 that is allowed to put some effort into electioneering. 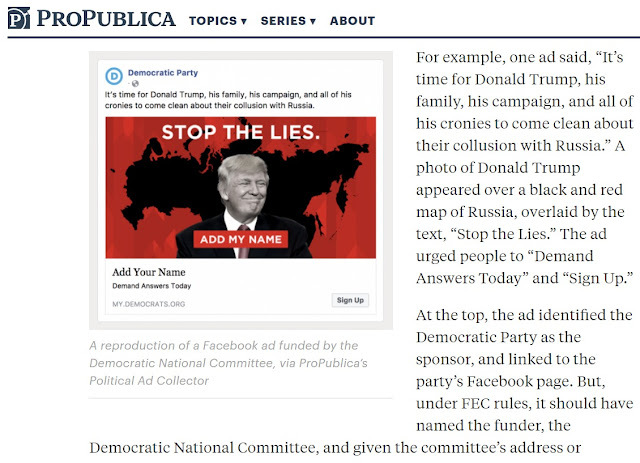 However, after the FEC decision, which we are ecstatic to support, we do not plan on running the contemplated advertisements and are glad that other less scrupulous 501c4s will also realize the peril in proceeding with running ads that should be run through a PAC with full disclosure through a 501c4 instead.